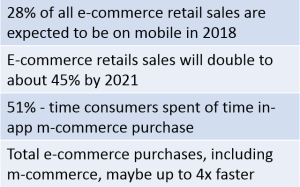 According to Business Insider, e-commerce and m-commerce are showing no signs of stopping. During the last holiday season, a third of all online purchases came from smartphone users. Just how central e-commerce and m-commerce (almost by default) has become to our way of life and how it’s expected to continue to grow is quite evident. According to Business Insider, e-commerce and m-commerce are showing no signs of stopping. Mobile transactions are overtaking everything else at a rate faster than businesses can handle. With the number of consumers switching to digital and mobile channels growing literally by the hour, banks need to simultaneously boost their defense mechanisms to prevent e-commerce and m-commerce frauds. In fact, real-time payment systems could very well be helping accelerate financial crime. A smarter mechanism to detect patterns and quickly form rules without the added complexity of software mutation and changes is essential for fraud threats to be preempted and prevented in real-time. Intelligent systems start from a basic rule and update these rules based on patterns detected from data, at incredible speeds. Machine learning algorithms today can analyze petabytes of data in a matter of hours and detect patterns with very simple computations. The entire process of analyzing data and formulating rules can be tested, verified and validated, making this a very precise and accurate science that gets better with use. Read more on applying Machine Learning and AI in fraud detection. Learning curve: An obstacle to machine learning is the steep learning curve for data scientists to optimize insights gained from machine learning. Machine learning is only as good as the data scientists behind it. It requires expertise and experience-driven judgement to make decisions and even the most advanced technology cannot replace that to effectively filter, process and evaluate the meaning of the risk score via data. Black box decision making: Much of machine learning is grounded on black box decision-making. Black box decisioning by AI currently is unable to sift authentic transactions from fraudulent ones with 100% accuracy and therefore is a limitation. Many policy execution or governance requirements need clear explanations of decisions (e.g. explaining to a customer why a transaction was blocked) and this may still pose a challenge when it comes to AI-driven systems. Sifting the chaff from the grain: Finally, an increased capacity to process Big Data creates an inherent tendency towards including irrelevant data. Machines lack common sense, so human experts are still needed to supervise. It takes a significant amount of data for machine learning models to become accurate. The key to advanced fraud-detection is a departure from rule-based, non-predictive detection to a non-deterministic approach that can explore and detect hitherto unknown issues/ challenges. This approach relies on several areas of AI including machine learning, deep learning and cognitive computing. Using these techniques to quickly analyze huge amounts of data, analysts can create benchmarks of normal activity and behavior patterns. But most importantly, ecommerce platforms, financial institutions and payments systems and must have the ability to instantly detect (and prevent) threats in real-time using contextual insights synthesized from across internal and external channels. Karunakar is a Research Analyst at CustomerXPs. He monitors developments in the BFSI technology domain and publishes significant trends that impact the sector.